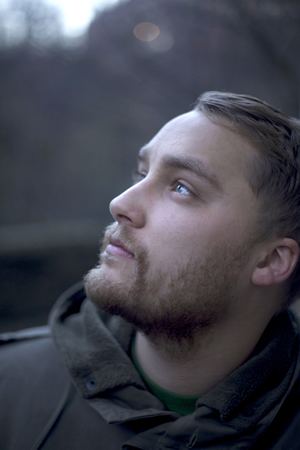 Singer/songwriter Adam Holmes, whose reputation is growing steadily, is lined up for a CCA, Glasgow gig on May 22, 2015. Adam played a sell-out show at the 2014 Glasgow Americana Festival and his debut album, “Heirs And Graces” was nominated for Scottish Album of the Year. The 23-year-old from Edinburgh certainly delivers a cultured mix of traditional and contemporary folk music from both sides of the Atlantic with his own brand of Americana never far away. “…his lilting bass vocal and blend of Scottish tradition and Americana was frequently entrancing” – The Scotsman. Not only is Adam’s album “Heirs and Graces” a fantastic debut, it is produced by the legend that was part of Sound Techniques in London during the late 60s and throughout the 70s – John Wood – who worked on albums with Pink Floyd, Fairport Convention, Sandy Denny solo albums, John Martyn, Squeeze and many more. John is still producing/engineering from his studio in Aberdeenshire with emerging singer/songwriters such as Adam.